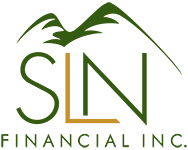 May 10, 2017 - Details to Know About Taking Lump-Sum Payments | SLN Financial, Inc. When retirees have policies such as annuities, they receive distributions from these investments that can provide them with income. As such, when you hold annuities, you can typically elect different ways to receive this money, and two common options include monthly distributions or lump-sum payments. Though monthly distributions have their benefits, choosing a lump-sum option can work for some investors. To help you gain additional perspective, here are some details to know about taking lump-sum payments. How can you use the money from your lump sum? Investors typically have two main benefits for taking the lump-sum payments over monthly distributions, since they receive a large sum rather than smaller monthly amounts. Will you have to address any taxes when taking a lump sum? Ultimately, your retirement goals and financial needs will guide if taking a lump-sum payment makes sense for you. To explore whether this strategy is an effective option for your financial life, we’re happy to talk. Please contact us to schedule a meeting today.